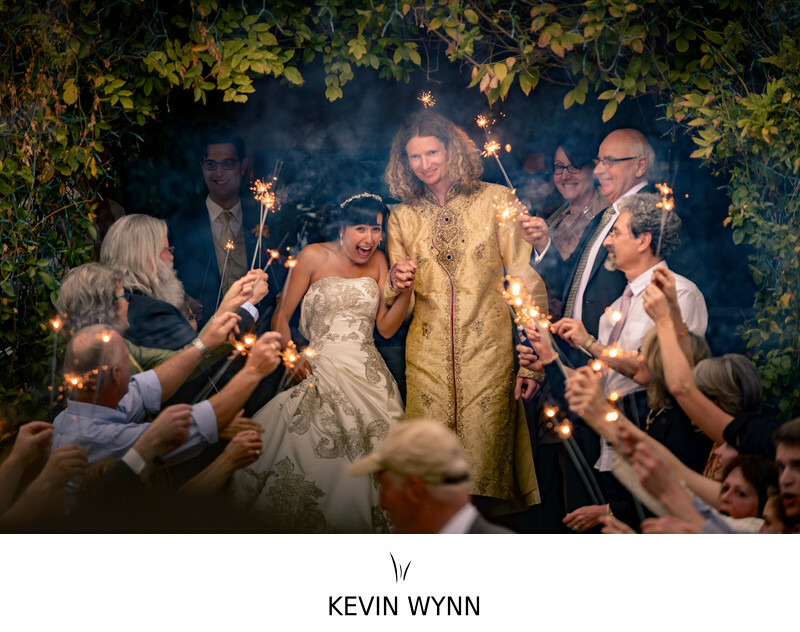 The bride and groom wamted sparklers at their Ojai wedding and the ivy provided a nice frame for them as they made their exit between their friends and family. Location: 502 W Ojai Ave, Ojai, CA 93023. Keywords: Ojai (99), Reception (165).